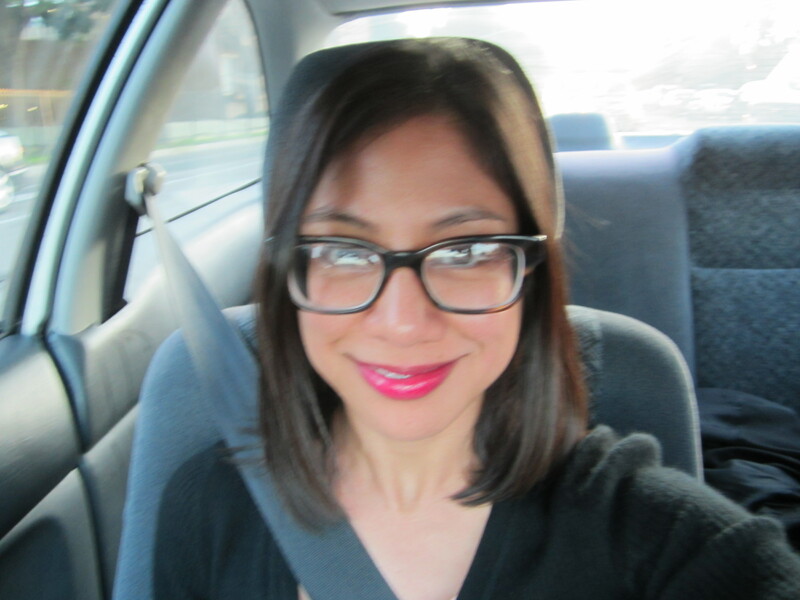 Here’s a blurry pic of me and my glasses from Costco. The brand is Modo from Japan and they were a little over $70 included my prescription lenses and tax. They sit much lower on my nose than I would like, but doesn’t impair my vision even though it looks like the top of the frames are at eye level. Oh well, I like them for now. I’m wearing this strange Mood Matcher lipstick that’s green, but looks different on everyone who wears it. I get a deep watermelon color.